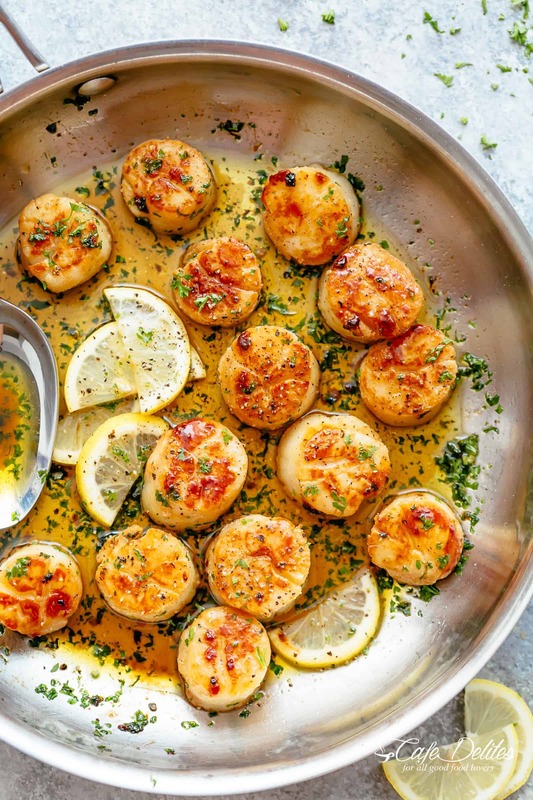 Have These Super Easy and Crispy Lemon Garlic Butter Scallops on your table in less than 10 minutes! Coated in a deliciously silky lemon garlic butter sauce! Cheaper than going out to a restaurant and just as good as chef made scallops! 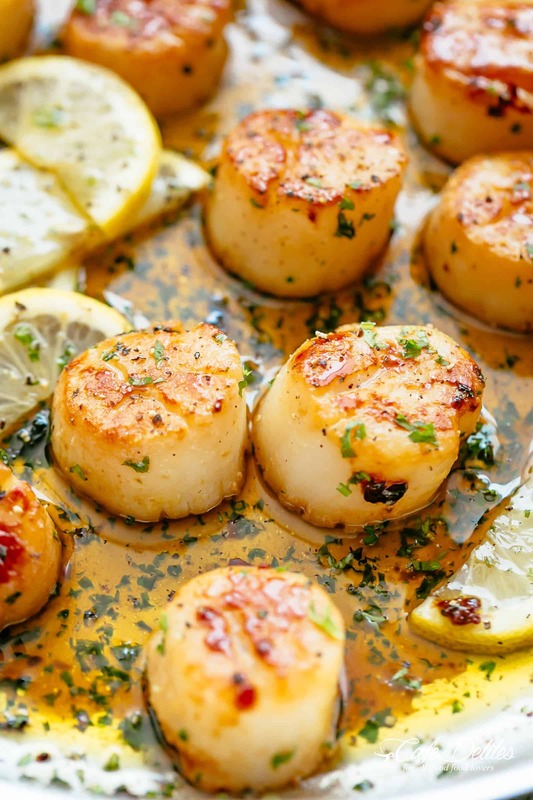 These crispy, pan seared and juicy Lemon Garlic Butter Scallops are the ultimate treat when it comes to scallop recipes! Serve as a starter or main, nothing melts in your mouth quite like tender-crisp and buttery scallops. With so many shrimp recipes on this site, it was high time I gave the mic over to scallops. And what a recipe to kick us off! You have all been writing in telling us how much you loved this Garlic Butter Shrimp Scampi recipe and this Lemon Garlic Butter Shrimp recipe. Both are so similar to how we cook scallops, I had to share this one with you in time for Good Friday! Just one of the many ways we love our scallops! Most people are extremely intimidated to cook scallops, especially because of their high price tag. Something you don’t want to spend so much money on only to have it go completely hay-wire. But that’s also the beautiful thing about scallops. They are a luxury and a feeling of fine dining washes over you when you have a bowl full of scallops and a glass of your favourite wine in hand. Try to find scallops without the bright orange or coral coloured crescent-shaped part still attached (or roe). The orange part can be a little bitter, however some people do like this part of the scallop. It’s personal preference. If you can only find them with the roe attached, you can pull it off and discard it. If you have bought whole scallops, you will need to remove that and the muscle that attaches the scallop to the shell. For this reason, we buy frozen wild caught scallops without the roe. Both sides of a scallop should be seared to a perfect golden-brown ‘crust’ with the sides opaque all the way through. They should be firm to the touch, but still slightly soft with a little bounce to them. Watch how we make our scallops right here! 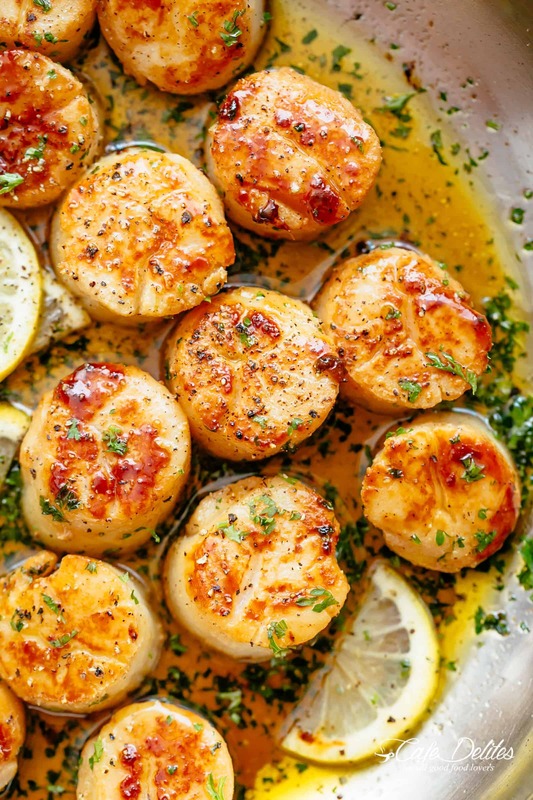 Have Crispy Lemon Garlic Butter Scallops on your table in less than 10 minutes, coated in a deliciously silky lemon garlic butter sauce! Cheaper than going out to a restaurant and just as good as chef made scallops! They are the ultimate treat! Pour in wine (or broth) and bring to a simmer for 2 minutes or until wine reduces by about half. Stir in the remaining tablespoon of butter and lemon juice. Remove pan (skillet) from the heat; add the scallops back into the pan to warm through slightly and garnish with parsley. Made these last week. Awesome, tasted wonderful and filling. 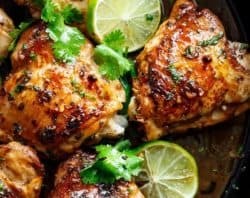 Thanks for the recipe and website. 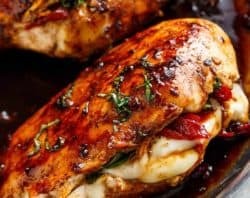 Going to try piccatta chicken tonight. 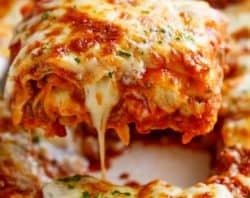 I made them last night and it was fantastic! Made it with broiled asparagus and a kale and quinoa salad. where is all the sodium coming from? I don’t see any actual salt in the recipe! Scallops are salt water mollusks so by their very nature they are sodium loaded. 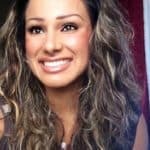 Original video shows adding salt and pepper! 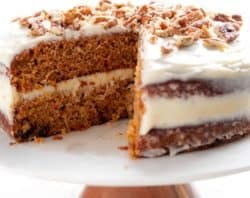 This was super easy and tasted excellent! 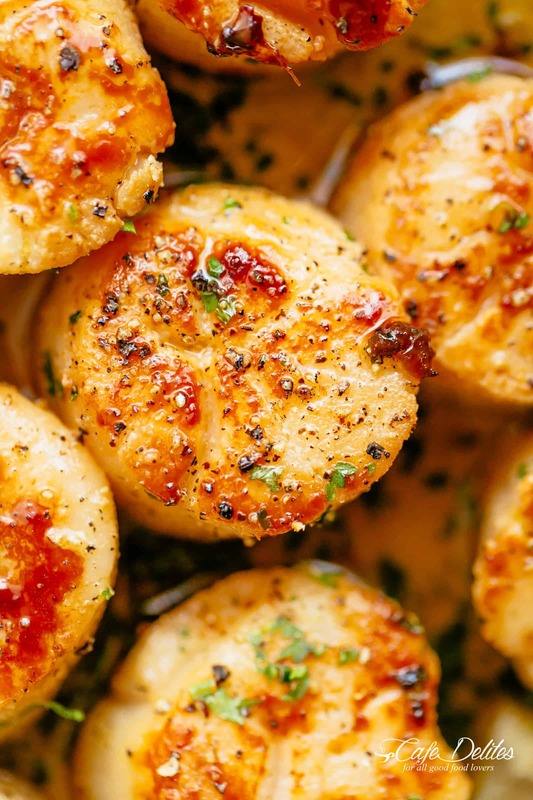 To keep the scallops tender, definitely do not cook them more than 3 minutes per side. Enjoy! How many scallops per serving? About 4-5 scallops per person. Best scallops I have ever had!!!! So easy too! Did u use wine or broth? If broth what kind ? We had it tonight. Very, very good! 5 stars. Made this last week, it was my first time cooking scallops and it was super easy! 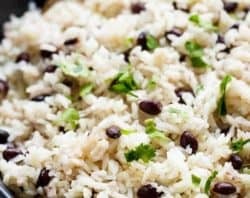 The recipe is great and very simple to follow. I served with rice and asparagus, yum. You are welcome to use chicken broth or a light and flavorful broth that you love. 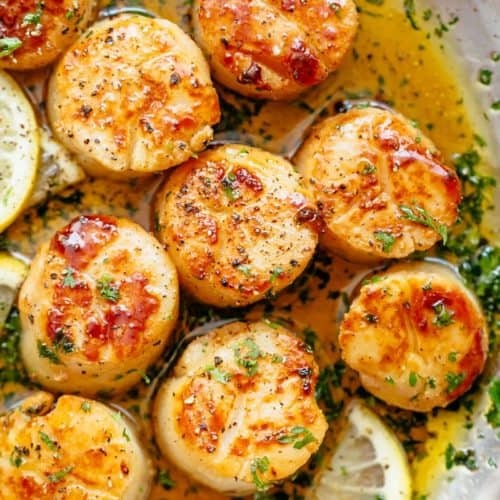 What goes well with scallops if I’m using them as a main? 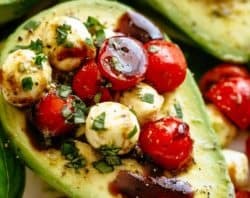 You can always add a salad, rice, or mashed potatoes. I do love steamed broccoli too. This sounds like a great main dish! Enjoy!